Dec 22: Bruce Damer was interviewed by host Moira Gunn on National Public Radio's Technation, Americans and Technology. To be broadcast in early 1998. December 15: Virtual worlds were presented at the Czech Technical University in Prague, Czech Republic. December 5: Virtual worlds were presented at the Future World conference in Cape Town, South Africa. Topic use of the internet and virtual worlds in education. December 1: Virtual worlds were presented to the National Public Policy Institute and the Telecommunications Society, Pretoria South Africa. Topic use of the internet and virtual worlds for national reconciliation and reconstruction. Nov 4-5: Bruce Damer presented a formal demonstration and all day course at Interface 97, Cambridge Marriott Hotel. Oct 31-Nov 5: The AACE presented WebNet 97--World Conference of the WWW, Internet, and Intranet where Bruce Damer of the Contact Consortium delivered the lunch keynote on Monday November 3rd, follwed by a book signing. Royal York Hotel, Toronto, Canada. Oct 29-Nov 11: it was The Avatars Book Tour! 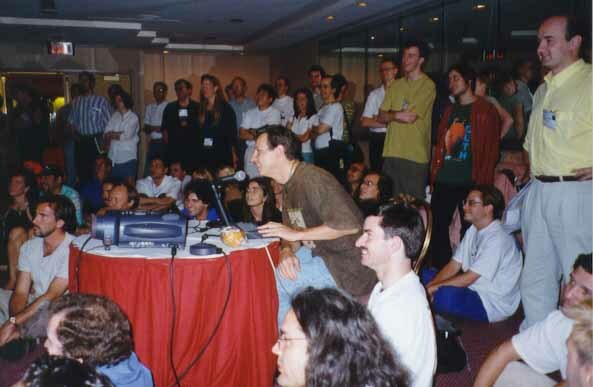 October 22-24 1997: The Consortium presented its second annual conference, Avatars 97 in San Francisco, CA USA. Read the reviews! September 1997: The Consortium put on an avatar tie-in at the Anon Salon in San Francisco, CA USA. August 29-Sept 1: Biota.org a SIG of the Consortium presented The Digital Burgess, a Conference on the Origins and Future of Life on Earth, in Banff Alberta Canada. As part of this first ever event, we trekked to the Burgess Shale fossil quarries. See the Conference photo album. 24-29 August: Is HCI International '97, was the 7th International Conference on Human-Computer Interaction presented jointly with 13th Symposium on Human Interface (Japan), San Francisco, California, USA. Aug 12-16: The University of Victoria Language Centre hosted the FLEAT III conference on Foreign Language Education and Technology. TheU Virtual University was demonstrated live as a learning environment. Students at the conference met inside TheU and engaged in collaborative building while international assistants helped in-avatar. SIGGRAPH Avatars Panel Online Discussions Continuing! August 3-8: Is SIGGRAPH 97 in Los Angeles CA, USA. August 7th: The Consortium held a 90 minute panel on Avatar Design and the Biota.org SIG hosted an exhibit called Nerve Garden in the Electric Garden. August 7: An Avatars Birds-of-a-Feature (BOF) was also held at the Omni Los Angeles hotel as a special event at SIGGRAPH 97. The eveing started with a VOCE by Phil Harrington. Presentations were given by by Tarik Thami of SFSU MSP (organizer), Bruce Damer (Contact Consortium), Steve DiPaola (on the experience of Onlive Traveler), Wendy Sue Noah (on WEAVE). Demonstrations were made by 3D Planet, and Deuxieme Monde a virtual world from France. 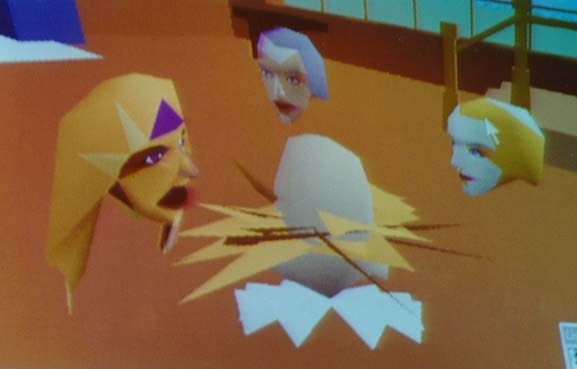 July 31: The BayCHI Summer 97 Tutorial Series presented Bruce Damer in Interacting and Designing in Virtual Worlds on the Internet. This tutorial was held at the Santa Clara Marriott Hotel, Mission College Boulevard, Santa Clara, California. July 28-31: Was 4th. EUROPEAN CONFERENCE ON ARTIFICIAL LIFE ECAL97in Brighton, UK. June 27-29: The Consortium presented at the THE SUMMER SUMMIT AT THE SUMMIT A Think Tank on the Future of Interactive Media at the Banff Centre for the Arts, Alberta Canada. June 17-19: Was the Virtual Humans II Conference in Los Angeles, CA. June 5-8: A key event in CyberSpace was the Sixth International Conference on Cyberspace in Oslo, Norway. June 3: The Consortium presented at the California Governor's Conference on the Arts in San Francisco, CA. June 2-4: The Consortium presented at the VRMLocity day at the 3D Design Conference in San Francisco, CA. May 31: Was the Contact Consortium Annual Meeting, Scotts Valley CA. April 25-29: Was the Computer Game Developer's Conference at the Santa Clara Convention Center. April 24-26: The Consortium presented at the 7th Annual Waterside Publishing Conference at the Hilton Beach and Tennis Resort, San Diego, California. April 11: The Consortium presented a second annual update on virtual worlds at the Philips Research Laboratories in Redhill, UK. April 10: The Consortium presented at a special meeting of the London Virtual Reality Group in London, England. April 10: The Consortium met with members of COGS at The University of Sussex in Brighton, England. April 9: The Consortium met with members of Cyberlife in Cambridge, England. April 9: The Consortium presented a demonstration and discussion of virtual worlds at the Rank Xerox Research Center in Cambridge, UK. April 8: The Consortium presented a demonstration and discussion of virtual worlds at the British Telecom Research Laboratories in Ipswitch, UK. April 2-5: The Biota SIG presented Nerve Garden and a special panel on Avatar Cyberspace at Virtual Reality Universe at the Westin Santa Clara Hotel, Santa Clara CA USA. March 22-27: The Consortium presented a full workshop and multiple hands-on demonstrations of virtual worlds at CHI97 the annual conference of ACM SIGCHI, Atlanta Georgia, USA. March 12: The Consortium presented a special session on rights and freedoms in Avatar Cyberspace at CFP 97, the Seventh Annual Conference on Computers, Freedom, and Privacy at the San Francisco Airport Hyatt Regency Hotel Burlingame, California. March 11: The Consortium presented an evening at Bay CHI in Palo Alto, California. See the full BayCHI March Meeting Report. March 11: The Consortium presented a forum at the Xerox Palo Alto Research Center, Palo Alto, California. March 7-9: The Consortium presented a special program on the new virtual communities at the CONTACT XIV Conference at the Sunnyvale Hilton, Sunnyvale, CA, U.S.A.
March 1-5: The Consortium/Biota planning was held in Banff, Canada for the The Digital Burgess Workshop. Bruce Damer also presented a seminar at the University of Calgary and discussed the Nerve Garden project with Dr. Przemislaw Prusinkiewicz. February 24-26: The Consortium SIG Biota.org presented itself as a VRML Consortium Working Group in formation at the VRML97 Symposium in Monterey CA. 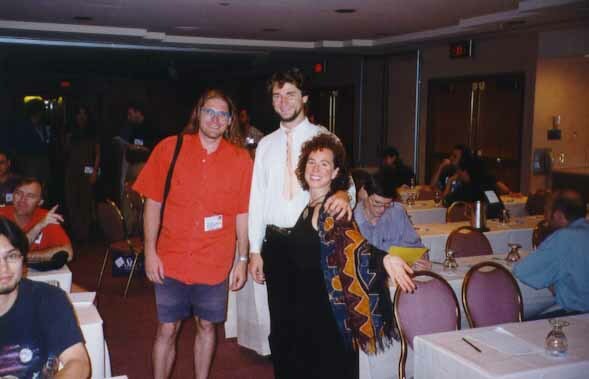 Avatar and VRML extensions were also discussed at VRML97. January 30-31: The Consortium and its special interest group Biota.org participated in World Movers, the VRML 2.0 Developers Conference in San Francisco CA. 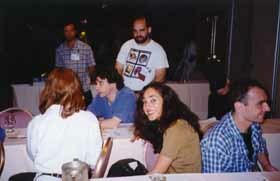 A Birds-of-a-Feather was also hosted by the Consortium on questions of Avatar Standards. January 9: The Consortium and DigitalSpace Productions put on the Avatar Teleport at the The 9th Annual Digital BE-IN in San Francisco CA.